Shipping passenger lists found so far all relate to journeys to Quebec in Canada, and then upriver by paddles teamer to Montreal. Canada. The following all come from shipslist.com. A surprise is that few if any other Essons besides John Esson, Henry Esson and related people appear. That seems more plausible than that many John Essons travelled. Perhaps this was early in the life of immigration for Essons, or alternatively perhaps others who journeyed travelled once only, and were recorded as “settlers. 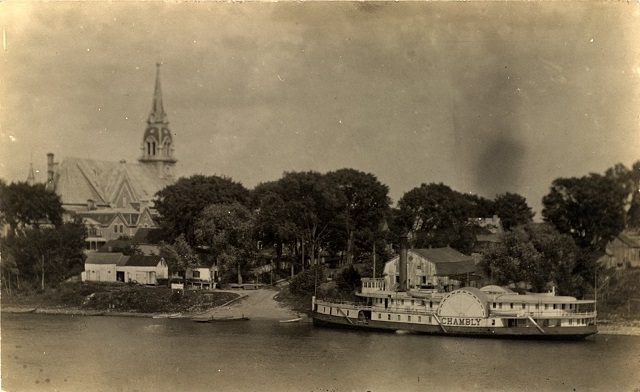 A William Esson appears three times, travelling up river to Montreal, with and without family. This could conceivably be William Esson the nephew of John, his apprentice and a wine merchant on Gallowgate Aberdeen. That seems slightly too much to expect though. There is a Patrick Esson too, who appears once. The Gales travelling seem likely connected to Alexander Gale. Trips to cross to Canada went from various places it seems, and took around 65 days for John Esson in 1819, but were reduced to around 28 days in 1827 as Packet Steam / sail ships started to be used, and finally around the mid 1800’s the time taken fell to 10 or 11 days. A big change in experience. Hazards of early journeys included disease, ice and storms. The two links below have records which include various reports of sickness and ice. 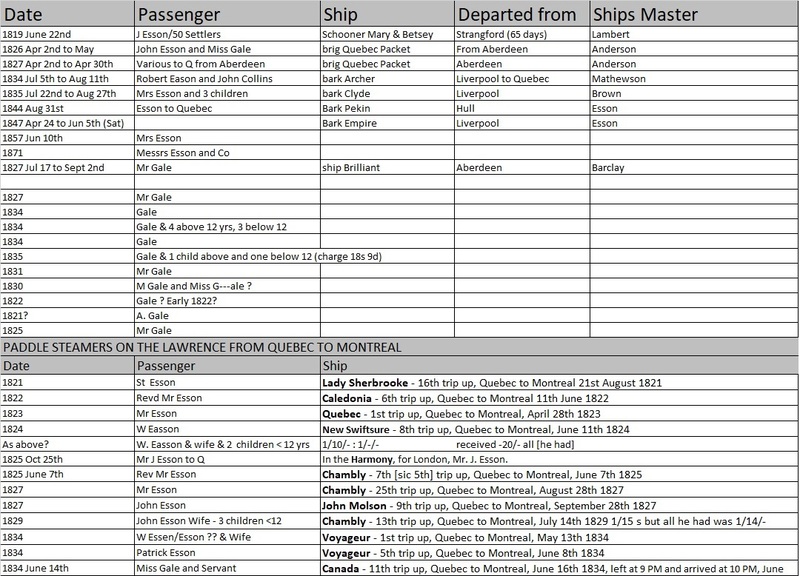 Below are some details from passenger lists for the journey to Canada for “Essons” and “Gales” taken from shipslist.com. Need to look though these again and search for others sources.